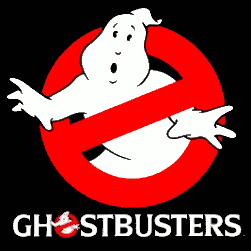 Ghostbusters X centers around the retired Ghostbusters and the fact that they're company is moving on to become a franchise. The show picks up quite a few years after Ghostbusters II, where Winston has moved on to becoming a family man. Peter has taken control of the business aspect of the Ghostbusters Franchise, while Egon and Ray continue to serve as technical support for the new crew, from their government funded lab. A new crew that has decided to bring their own personal new flair to the paranormal investigation. Peter Venkman: One of the originals, Peter has stuck around the old firehouse to keep an eye on the new team. Not to mention the fact that his daughter is dating a complete and utter failure of a human being. At least in his eyes. He is the Veteran Wise Old Man of team GBX. Patricia Venkman: Daughter of the self-immortalized Peter Venkman, Tricia is pretty much everything her father is and then some. Mouthy, witty, as beautiful as she wants to be and that's just the tip of the iceberg. If one has to be picked, she could be considered the leader of the new team. Ray Stanz & Egon Spengler: This dynamic duo serves a recurring role in the series in creating new and cool equipment for the Ghosbusters to use. Not to mention they are the experts in the paranormal field, so they provide all the tech support and debriefings needed for assignments. # Who Ya' Gonna' Call? Synopsis: Big Trouble in the Big Apple again. When the nephew of a familiar face accidentally resurrects the Beast of Arganon, New York could be in for a very big surprise. Luckily, America's newest paranormal investigation franchise has some new recruits that are just dying to get their feet wet.